Elizabeth is directly opposed to the Southern side of the war, but when the plantation she is a governess for is overrun with injured Confederate soldiers, she is forced to reconsider her views. War is hell, and no matter what side, loss and death are the same. As the war progresses, Elizabeth is called upon to assist with surgeries that signal the end for some soldiers. Not everyone is meant to live, and the horror of it all is enough to change her mind on a good many things. The Civil War is one of my favorite eras to read about, and growing up I would read every book I could find about the War between the States. The idea of so much war and loss of life made me wonder if nonresistance was the answer and for a good many years I believed that was the best way to avoid the senseless tragedy of war. Alexander brings into focus the many aspects of the war and makes you understand why things were the way they were. I actually felt as if I was part of the story and as if I had to make the hard decisions. 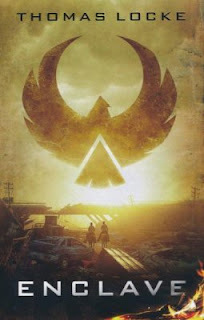 I'm looking forward to reading future books in the series...there is so much left to say! This book was provided by the publisher for free in exchange for an honest review. After the Great Crash, America is now structured as enclaves. With no real federal government, everything is loosely governed and a sad excuse for what it once was. There is hope in Catawbe that a young trader named Caleb will be the hope of the future, but he knows that he is hiding information that will surely be the end of his life. One of my favorite characters in this book was Kevin Ritter. There isn't really a specific main character, but several men that come together to find a better life for their families. 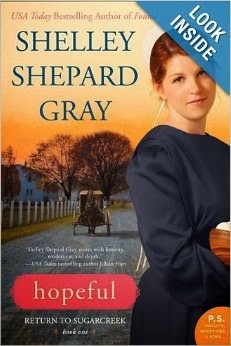 Kevin is a deputy sheriff who lost his job because he is caught working for the Underground Railroad. While this genre is not my go-to, this story swept me off my feet and didn't let go, even after the last page was turned. I loved the characters, and I really appreciated the storyline of a rebuild after global disaster. While the reality of that seems almost impossible with our current infrastructure, it's also a warning that realistically, anything can happen! When you're reading the sixth book in a series, you really have to wonder what it is that keeps the stories alive. You've jumped into the fire and it's almost like a mystery as to what is going on with the characters and their possible back stories. I was wrong to even think that. Pete and Jess's relationship was dear to my heart because my own romantic entanglements echo their story. 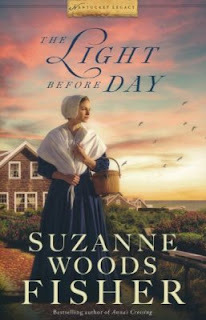 All of the things I look for in a good book; danger, romance, and the inclusion of God in their lives was present, and it was a delightful, fast paced read. While I imagine this story is better with having read all the backstories of the previous five books, it stands alone quite nicely, and keeps you wanting more. The one upside of reading the last book in the series first is that it's not over for you! Just the beginning. Happy reading, my friends, I know I will be! Siblings Henry and Hitty Macy have inherited a fortune from their grandmother, Lillian Coffin, but it comes with certain conditions and stipulations. They must each marry a Quaker in good standing in the eyes of the community, and if they choose to give up their fortunes, the inheritance goes to the thieving business partner of their father's. They each attempt to satisfy the will's conditions, but times are changing, and fulfilling their grandmother's wishes is a lot more difficult than either of the could have imagined. Any book Suzanne Woods Fisher writes is worth the read, but this book and this series held a special appeal to me with the historical value and Quaker roots of its people. It's not often that I can weave myself into a story - I am more of an observer from the outside looking in - but this author has a way of pulling you into the story and not letting you leave, long after the tale has been told. This is the kind of book that will have you pondering its unread mysteries while you go about your day, and you simply cannot wait to get back to it and find out what the answers are. If you have limited time to read or don't read often, make time for this book and series. It will stay with you for the rest of your life. The setting of this book was very different than what I am used to with Amish fiction, and I was pleasantly surprised that I enjoyed it very much! The setting created a tumultuous setting due to the Civil War, and the internal conflict created by the war intrigued me from the beginning. It's hard to think of the Amish in the background during that time, but I'd honestly never considered that the Amish were already in the United States when the war had begun. Before this book I had never considered that they might have been pulled into the draft or even compelled to fight. I knew that the Anabaptist way is non-resistance, but it finally hit me when reading this book that their beliefs were probably shaped due to situations arising where they had to define their faith and stance on hot topics like the war. 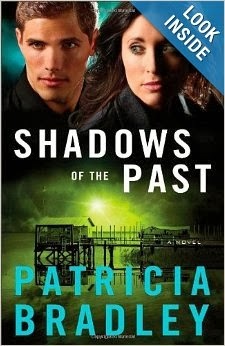 The characters were compelling, and I enjoyed Katie's innocence as she falls in love with Jonas. I was surprised by a development in the first few chapters that concerned Katie, and after that particular revelation I understood why she was so dependent on Jonas and his love. I dug into the book after that, because I related to her life so much. I cannot ruin the book for anyone by relating certain elements, but I highly recommend you pick up a copy and read this author. The setting, the characters, the word imagery - all ties into a book that makes you feel like you can fall into and become a part of. My initial thoughts about this book was a bit reluctant to dig into it, with it being 4 stories in one, and thinking it was a reprint of older material. I was pleasantly surprised to find that I was completely wrong and I got so engrossed in this book that I read it in almost as many sitting as there were stories! 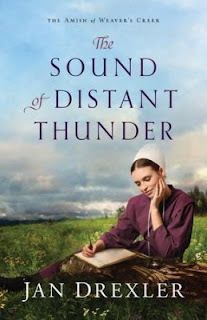 Each author brought her own flair to her story, with engaging dialogue, a peek into Amish life, and not a single moment of boredom. 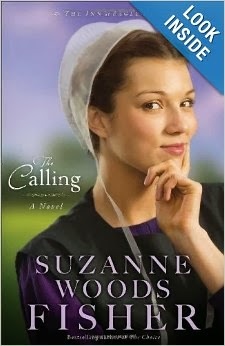 The one aspect that I really appreciated was the fact that this was not a traditional "Amish" read. These stories were fresh, exciting, and appealed to my Englisch ways. These stories were written by four of my favorite authors of the genre, with a very Prodigal son like feel. They were coming home stories that made me think about how hard it must really be to life that lifestyle, to have that faith, and then to face adversity despite their Godly living. It really made me realize that they are people, just like us, with the same struggles and trials. And that made them very relatable and as real as the people we surround ourselves with. When Finn meets Sydney, he's quite sure that she's never needed help finding a date. Does Miss Callie have an ulterior motive, or is this just a mission driven by delusions? He's willing to do whatever he can to help fulfill Callie's Christmas wish. He just never expected to be a vital part of it. This book was a pleasant surprise for me. I avoid Christmas books like the plague, and I have yet to read an actual "Christmas story" of any kind. 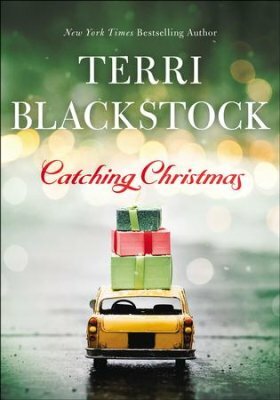 Terri Blackstock's first book in the Newpointe 911 series was my first novel at nine years old, secretly read because my mother didn't think I was old enough. So out of curiosity and respect for the author, I gave this book a chance. It is very hard to write a review for this book because I want to just sum up everything that happened. I want to tell you what happens to Sydney and her horrible job. I want to say why Finn is doing what he's doing for Miss Callie, even though it's hard for him to lose money on her fares. I want to shout from the rooftops about the twist at the end that took me by surprise, but really, I should have seen coming because Callie is a character to behold. One of my favorite things about Callie's personality is her lack of filter. She is not vulgar in any way, but she is an opinionated woman with enough life to make any young person feel like they need to step up their game. At almost 30 years old myself, I want to be just like Callie when I grow up. The mother of ten, Mary Katherine, is an empty-nester who lost her husband four years earlier. She misses him so much, she still talks to him. When a mysterious English stranger breaks into her house looking for food, it heralds the beginning of a new chapter in the widow's life. Mary Katherine turns to her good friend, Ezekiel, who needs a cook at the restaurant he started after his wife died earlier. When they both set out to separately make sure their new friend isn't caught up in an investigation, their paths keep crossing. 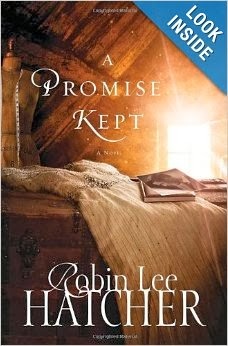 Will Mary Katherine learn to love again, without the fear of diminishing the strong love she had for her first husband? Widow Mary Kay's children have finally left the nest, and she is free to live her life to the fullest. But her controlling sons and bishop are not supporters of her dreams, and a chance to be happy again could be just what she needs. Her biggest supporter is her late husband, Moses, whom she has wonderful conversations with. She knows it's her writer's imagination at work, but it brings her comfort despite his loss. Another member of the community, Ezekiel Miller, has also suffered the loss of a spouse. His wife Lucy was taken suddenly, and like Mary Kay, it has changed everything for him. I really love how the writer gets you, as the reader, emotionally invested in these characters. Anyone can write a story, but the only way to sell books is to breathe life through the pen and bring the people they write about to life. There were characters from the previous books in the series, so anyone who likes to read in order should do so. It really adds to the sense of community and familiarity to the story, and of course, this being the third book in the series, the writer's style should be comforting as well. I wanted Ezekiel and Mary Kay to get together so bad, and things just kept happening! I wanted to jump in my car and find whatever Amish community that the author was writing about, find them and help them along! Beth Winslow's life has not been at all what she planned. After her mother left when she needed her most, Beth has floated through life to where she finds herself that day, the day the professor asks her to become a surrogate. Thinking it will erase the wrongs of her past and help pay for her college, she agrees and signs on the dotted line. But when preliminary tests show that there may be something wrong with the baby that she carries, she flees to the Mennonite community deep in the heart of Tennessee to keep the child and the secrets of her past safe. 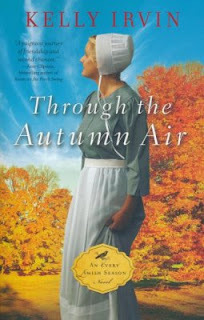 Rhoda Mammau is the head midwife in a crumbling house from the Civil War Era inside a Mennonite community for unwed mothers. She has given her life to the girls and their babies, and she intends to be there until the day she dies. The problem with secrets is that they don't always stay secrets. Amelia knows that she is in trouble and her only choice is to leave and clear her head before she makes a decision. Having read about the Mennonite community in Tennessee that takes unwed mothers, she packs her things and sets out to see if they hold the answers she seeks. What everyone doesn't realize is that everything is connected, and when one thread is pulled, entire lives will unravel. I didn't realize how involved I would become with the characters and their stories. Mentally I knew things would tie together, but to read the words unfolding from page to page, I couldn't stop reading. Much like when you watch a movie and you can't look away. 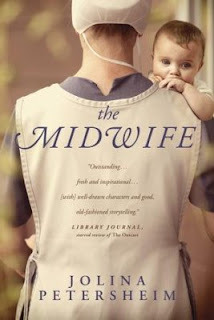 I'm nursing a baby right now, so I was able to read for hours while he was feeding, and trust me when I say you're going to want some quality time to read this novel - because you're not going to want to put it down! After four years of absence from the book reading and reviewing community, this is the book that pulled me back in. My other half had dragged me into Hobby Lobby and on their bookshelf near the front, this book called to me from its designated shelf. I am one of those people that can't stand to pay more in person when I can just get it online for less, but this time the price difference was just pennies, and I asked Jake if he would get it for me. I had paid for our date that day, so I didn't feel bad asking him to purchase it, but I specifically wanted him to buy it for me because my ex-husband burned my library of thousands and thousands of books. The memories were not at all good ones, but I knew if I could just get my foot in the door with reading Christian Fiction again, I could somewhat erase the past and build a new future. Running away from an abusive husband is hard to do after seven years, but I ran about as far as I could manage and joined the Army in August of 2014. My journey in life had brought me to a place very similar to Bathsheba's, in the end I paid the price just as she did, twice, but God has blessed me and I now have a year old son, with another on the way. His ways are not our ways, and it took a bad seven year marriage, four years in the Army, two miscarriages, and a lot of bad experiences to get me to where I am today. Unveiled is about Tamar of the Old Testament, the woman whom Judah (Joseph's older brother) brought into his household and married her to his eldest son. She is a woman who had no future, no hope of being a part of the kingdom of God, but God grafted her into his Family. Unashamed takes us to the dusty city of Jericho, where Rahab has a place in the wall. A woman with no way of having a voice in the world of men, she hides the spies whose parents have wandered the desert for 40 years after leaving Egypt. As a prostitute there is no reason why she should ever have been a part of the lineage of God's people, but she too, joined the faithful few. Unshaken visits the life and story of Ruth; the famed Moabitess who followed her mother-in-law, Naomi, to the land of Israel after their husbands died in Moab. She is stubborn, but has faith that the God of Naomi is more powerful than her country's gods of clay and stone. She meets Boaz upon gleaning from his fields, and the rest is history. Boaz is Rahab's son, and he and Ruth bear Obed, who is Jesse's father, and the grandfather of King David. Unspoken is the well known tale of David and Bathsheba, complete with the adulterous details of how one woman was the reason that an entire kingdom fell. It is sobering to realize that David's sin with Bathsheba did not end with one night; it extended to not only the rest of his life, but the loss of life of his sons and the kingdom itself. A particular detail was of interest to me in that Bathsheba was somewhere in the middle of what became a long line of wives. Those who had come before her had borne many sons, and yet her son Solomon, was given the crown. Which means that all the sons before him had to die. It's something that's a part of the history of it all, and yet it struck me anew as I read her story. Unafraid takes us right to the part of the story that the last four stories have been pointing to - the birth of the Messiah. I can't say that I've read a lot of stories regarding Mary and her life, so this was a refreshing first for me. Mary is a woman of courage, just like her predecessors, but in this reimagining, she worries and frets more than anything before the Crucifixion. I think this is a possibility, because now I am a mother, and can understand her worries and her questions. In the end her faith and service to the Lord was rewarded. 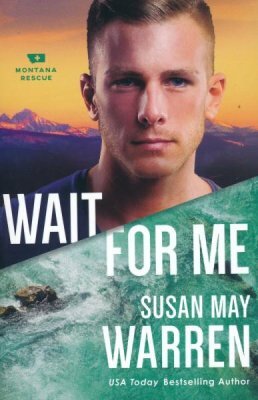 As always, Sawyer delivers a story that is all things to everyone; exciting, romantic, suspenseful, heart-stopping, intriguing, and passionate in the cause Caroline and Oliver are trying to fight for. The chocolate factory was amazing to read about; (who doesn't love chocolate?!) and seeing what factories used to be like back in the infancy of mass production was quite educational. The story moved along at a good pace, and with the backbone of the story being truth, lies, and secrets hidden - and it is a recipe for success. (Slight pun intended here.) Something interesting that caught my eye was the fact that Oliver and Caroline were on opposite sides of what they felt was a moral issue, and how even the strongest objections can be overcome by love. A wonderful novel about doing what's right no matter what the cost. As a girl, I was intrigued by the story of Benedict Arnold. Forever branded a traitor to his countrymen, I often wondered what drove him to betray his neighbors, friends, and family. 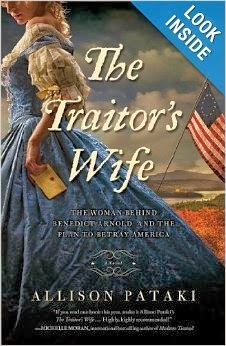 This piece of fiction really brings into play the possibility of a woman being a major influence in his life; and a plausible explanation as to what drove him to commit treason against a nation. 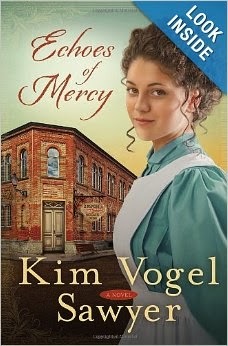 I enjoyed the story from the maid's perspective, and that added to the flow of the story line and plot. I am amazed by the depth of skill from this new writer. She weaves a tale that speaks to her knowledge of historical facts and details that make the story so tantalizing and dramatic. The facts alone make for a novel that is absolutely unprecedented; and Pataki takes the particulars and creates a heart-wrenching tale that extraordinary. While I recommend this story to mature readers due to some of the content, this debut novel sings from the pages of a book and becomes a story that will forever burn in your heart. This book absolutely lived up to the expectations I had for it. While books in this genre tend to move at a breakneck speed, I found that moving at a slower pace was so much better for enjoying the story and all of it's details. With one character searching for her father and the other seeking to resolve his wife's death, the two are bound to cross paths. But when they do, it doesn't go at all the way they expected. The stalker becomes the suspect, and Taylor realized that not everything is as it seems. Nick finds nothing but trouble around Taylor, and the shadows of the past threaten to destroy every chance of a happy future. Bradley writes characters that are as real as life, and kept me constantly guessing where the story was going. Every time I thought I had the plot nailed, she had something else going on that I didn't see coming. Overall it was well written, well paced, entertaining to read and I thoroughly enjoyed the literary ride. A powerful drama of domestic life following two memorable women who shared a house eighty years apart. A New Yorker all her life, Jane Hatton loved her job as the head of a charity championing women’s rights, but her fourteen-year-old daughter, Natalie, had fallen in with the wrong crowd at her Manhattan school. So Jane and her British husband, Andrew, have decided to move their family to the English countryside. The Hattons have bought the large old vicarage in a small village on the Cumbrian coast, near Andrew’s new job. The silence and solitude of a remote village is quite a change. Natalie hates her new school, and eleven-year-old Ben struggles academically. Only seven-year-old Merrie enjoys country life. Has Jane made a horrible mistake? What of her career? Her own identity? Putting on a brave face for the family, Jane tackles renovating the rambling, drafty old house. 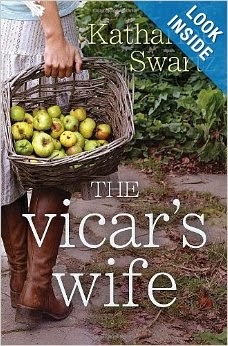 When she finds a scrap of a very old shopping list, she grows curious about Alice, the vicar’s wife who lived there years before. As the twin narratives unfold—of Jane in the present and Alice in the 1930s—we discover that both are on a journey to discover their true selves, and to address their deepest fears. I am personally a huge fan of novels that tie the past and the present together. It lends a dramatic, yet romantic flair to the story that nothing else can quite achieve. What struck me about this story is the glimpse of a common problem that we sometimes cannot overcome. When faced with new circumstances or situations, we tend to long for our old life and wish we could go back. But when we finally begin to accept where life is taking us, it can be the biggest blessing of all. Blogging with Kregel Publication has exposed me to authors that I would not have met otherwise. This author was no different, and I really enjoyed her writing. I did think that Jane was a rather selfish character, but that in no way kept me from enjoying the story. Her relationship with her family got better as the book progressed - character development at it's finest! Overall it was a great story of discovering how to find what really matters in life, and doing whatever it takes to find your true happiness and joy. Going into this book, I had a lot of ideas about how I would feel about the story. I've been in Miriam's shoes, and I've often wondered if men are capable only of looking at a woman and seeing her based on how she looks. But Gray delves so much deeper than just outlining the problem and writing a boy-gets-girl story. For Junior and Miriam, it all boils down to who they were as people; never about superficial things like looks or weight. I really appreciated how Gray put Miriam out there and showed us how she really felt about always being the wallflower to prettier girls and forever being in the background when it came to attention from boys. She is the kind of girl I would want to be friends with because her character understood what it means to truly see a person and what they have inside, instead of what they appear to be at face value. This book was provided by the publisher through Litfuse Nest for free in exchange for an honest review. 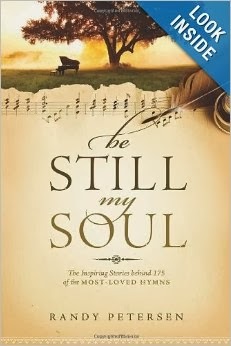 Be Still, My Soul is a collection of 175 of the most popular hymns and the stories behind them. Many of these hymns were written out of incredible life experiences—from the heart cry of a repentant slave trader to the renewed hope of a survivor of attempted suicide. In this devotional you’ll discover the stories behind the songs we sing. You’ll experience the passion and joy contained in these hymns’ lyrics and melodies. In addition to the hymn stories, Be Still, My Soul includes the musical score, lyrics, and in-depth biographies of 12 of the most-prolific hymn writers, singers, and composers. Whether you are new to hymns or have cherished them for a long time, you’ll enjoy this illuminating book on the stories behind some of the most popular hymns you sing in worship. I found this to be an insightful collection of all my favorite hymns. The layout was very easy to read and follow along with; with the sheet music on the left, and the description and story on the right side. As a musician and a Christian, this compilation was particularly meaningful to me. Despite my refusal to crack a book's spine, this one is now well worn and loved so I could enjoy it to the fullest. Even to someone who isn't familiar with some of the hymns, it can be enjoyed by everyone simply for the hymn histories. There was twelve in depth hymn stories, and the rest were brief and concise commentary/stories on each hymn/writer/history. The Table of Contents is alphabetically listed, with the 12 biographies marked by an asterisk for easy reference. There is an Index of Authors and Sources, as well as an Index of First Lines. It was put together very well, and a valuable research for anyone interested in hymns and/or Christian history. 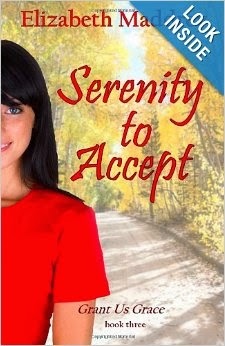 “Serenity to Accept” by Elizabeth Maddrey is book three of the ‘Grant Us Grace’ series. Is there an exception to every rule? Karin Reid has never had much use for God. There’s been too much pain in her life for her to accept that God is anything other than, at best, disinterested or, at worst, sadistic. Until she meets Jason Garcia. After his own mistakes of the past, Jason is committed to dating only Christians. He decides to bend his rule for Karin, as long as she comes to church with him. As their friendship grows, both will have to decide if they’ll accept the path God has for them, even if it means losing each other. This book was as down to earth as it gets. While the story line and plot were not as complicated or complex as the last two novels in this series, this one was sweet, endearing, and still realistic. The themes mirror us in real life, with characters caught betwixt and between what they believe is right, and what they know to be wrong. Love can be a complicated thing sometimes, and Maddrey handles it beautifully, and writes a story that we can empathize with and learn from. In closing, this quote really struck me and changed my perspective on the big picture: "But the one thing my parents have always said is that we will never know how God is going to use the things that happen, so until we see the whole picture, we can't judge his plan." Rachel's search for her father was, in a word, heart wrenching. I cannot believe how emotionally involved I got from just reading about the lengths she went to find her father! Putnam wrote Rachel as a very determined young woman, innocent to a point about the world, yet mature enough to realize that life has it's ugliness. Rachel was a solid character, with the perfect balance of personality, action, and vivacity. The story plot itself is edge-of-your-seat material; you won't want to put it down! I had a hard time getting my nose out of this book, because the story moved right along and kept my attention the entire way through. I did wish we could have had more on the relationship between Rachel and her mother, but ultimately, it added to the mysterious elements of the story. I really enjoyed this novel, and I can't wait to see what else Putman is bringing to the table with the Story of Monuments Men series. This book was provided by the publisher for free through Litfuse Nest in exchange for an honest review. This book came to me at a time in my life when I needed it most. Giving control over to God is extremely difficult when you think that you have the answers. It is hard to wait for the right time, and we often get ahead of ourselves in trying to make our lives happen. Allison found inspiration through her aunt Emma's story, and I did as well. The things Emma faced and overcame was incredible, and gave Allison the inspiration she needed to do the right thing about her marriage. Hatcher is known for her heartwarming stories, but I think this is her best one yet. She clearly portrays that waiting on God is the answer, and encourages us through her story; "Wait on the Lord: be of good courage, and he shall strengthen thine heart: wait, I say, on the Lord." Psalm 27:14. This was a story of redemption, second chances, and the rewards of waiting on the Lord. 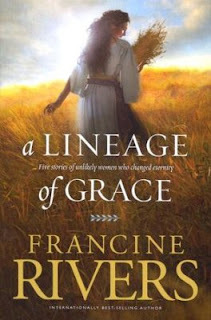 Recommended for lovers of clean, insightful, Christian fiction. We all love a mail order bride story, but an arranged marriage because of some tragic circumstance is right up there with that genre. I sympathized with Lindie throughout the whole book, because here she is, a woman with a child in her belly, no husband, and no one to love her. Her brother's friend offers to marry her, but all he needs is a housewife and mother for his eight year old deaf daughter. Things go well after a time, but inevitably, they go terribly wrong as well. I enjoyed the roller coaster ride through their lives, and how just when they think life is finally settling down, something always popped up. It was a page turning Amish romance, which I attribute primarily to the fact that Reid makes this novel so different than everything out there in the genre. 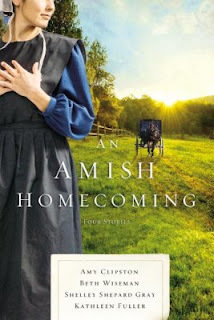 It was an excellent read, and something I recommend to lovers of Amish fiction, as well as those who are on the fence about giving the genre a second chance. Elizabeth is written as a very strong character, yet gentle with her patients. I really enjoyed how she didn't care about the gossip or people's opinions and how she put her patients first. Cabot did an excellent job in portraying Elizabeth, and she is a fictional character I can genuinely admire. Taking care of the women from a brothel is not something a doctor from 1887 Wyoming territory would have enjoyed doing, but that Elizabeth was so willing to care for what is seen as the lesser of society, I can't help but admire her in her strong beliefs and faith. 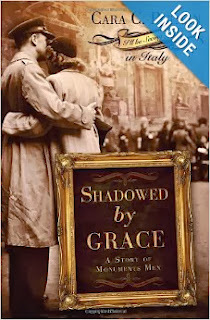 This is a wonderful story, with solid characters, solid plot, and lot's of interesting history. Lovers romance and history alike will enjoy this tale and the previous two books in the series, and I recommend it very highly! Detective Nick Barone would rather do almost anything than teach this petite socialite jiu-jitsu, but it seems he has little choice in the matter. Sparks fly every time the two meet until a grudging friendship develops into something deeper. 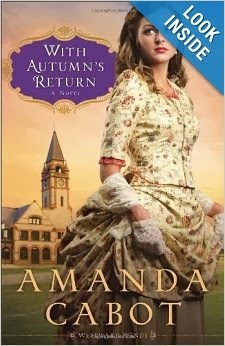 But when Nick suddenly leaves town, Allison realizes he's a fraud just like all the rest of the men she's cared for. Does she dare love again? 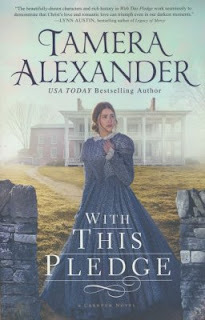 The lushness of the glorious Gilded Age beautifully showcases Lessman's passion as a writer in this engaging love story written with humor and heart. 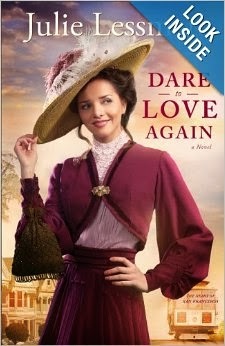 From the glamour of San Francisco's Nob Hill to the seedy gambling dens of the Barbary Coast, Dare to Love Again is a journey to find a love that never fails. Fans will love revisiting the world of the cousins McClare, and new readers will seek more of Julie's passion-filled novels. I personally enjoyed the romance between hero/heroine a lot. I know I'm a sucker for the typical Christian romance, but the formula works on me every time. In this story, the characters had depth and were interesting people. The plot line had friction between Nick and Allison, and I have to admit that while that seems slightly overused, it really does work in real life. I loved how Lessman wrote all the relationships in her story; none of them were forced, far-fetched, or ridiculous. The historical value of this novel is priceless. Lessman not only portrays San Francisco in 1903 with flair and accuracy, she brings the city to life. It has never been a particular interest of mine to learn about Chinatown, but the author did such an excellent job of giving me a peek of the past, it genuinely got me interested in learning the history of this magnificent city and it's people. A wonderful story that was well rounded, satisfying, and enjoyable. 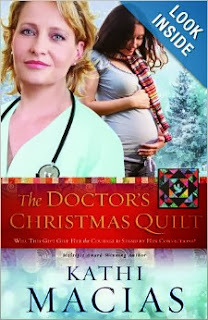 When her unwed medical student daughter discloses that she is pregnant, Dr. Laura Branson is torn between excitement and fear. Until now, her beliefs and stance on pro-life issues have been more theoretical than personal. It isn't until she receives a Christmas gift—a quilt that depicts the life of pioneer Elizabeth Blackwell, the first woman doctor in America—that she is forced to wrestle with her beliefs. What does she really believe, and will she have the courage to stand by her convictions? Jenny makes quilts every year, never knowing who they are for, or what purpose they will serve. She never knows who they are for, but in faith she sews every stitch knowing their purpose will eventually be revealed. When she meets Megan, she slowly learns her story, and discovers that the girl had a bright future ahead of her - until she came home and announced that she was pregnant. I loved how Macias took some very tough yet sensitive topics, and so easily took us on a journey of grace, forgiveness, and mercy. And of course, the quilting theme tied with Elizabeth Blackwell's history as the first female doctor in America was absolutely fascinating. When life got messy for Dr. Laura and her daughter, the symbolic quilt and Dr. Blackwell's story was the shining star of hope in their life. Macias shows us that no matter what life throws at us (whether based on our choices or otherwise), God always has a plan for us far beyond what we could ever hope or dream of. Stoney Ridge is a quiet, normal Amish community; up until Bethany Schrock begins to dig through five sister's lifetime accumulations of junk. Then all of a sudden, things get very interesting depite the boring, hot summer days that Bethany thought were in store for her. Just what kind of secrets can five ancient sisters possibly harbor that could change everything? Something gnaws at Bethany from her past, but she doesn't know where to go for the answers she seeks. Could the sisters possibly be the answers to everything? Then there's Jimmy Fisher. He seems particularly interested in her - in driving her crazy, that is. Handsome, charming, and brash, Bethany and Jimmy take a shine to each other from the very start. Bethany is distracted by a mystery from her past that seems to go nowhere, but Jimmy steps in and encourages her to find answers. Will she be able to succeed? My favorite thing about this book was how uncommon it was. 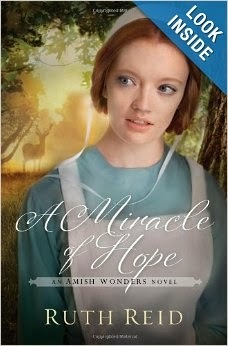 So many unusual topics were covered in this story, a very unique flavor among Amish fiction. Having a slower paced lifestyle leads to a slower paced book. But it was unhurriedly particulate with descriptions and settings to be savored, enjoyed and appreciated. Jimmy was quite the rouge with his flirtatious ways, and Bethany grew up in this story. But of course, my favorite characters were the sisters that were constantly up to something. A very good read overall even if you're not into Amish fiction - Fisher brings a fresh voice to the genre that will appeal to everyone. Uncovering the truth could cost them their lives. Since entering the Safe Lands, Mason has focused on two things: finding a way to free his village from captivity, and finding a cure for the disease that ravages many within the walls of the Safe Lands. After immune-suppressive drugs go missing in the clinic, Mason discovers his coworker, Ciddah, may know more about the Safe Lands than imagined ... and may have an agenda of her own. At the same time, Mason's brother Levi is focused on a way to free the remaining Glenrock captives, while Mason's younger brother Omar decides to take the rebellion against the Safe Lands into his own hands as a vigilante. Soon all three brothers are being watched closely---and when Mason stumbles onto a shocking secret about the Safe Lands meds, his investigation just might get those closest to him liberated. 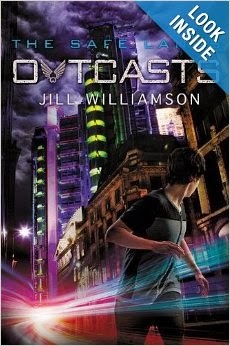 Williamson once again pens a YA novel to inspire, impress, and excite the imagination. With the genre set in dystopian/futuristic sci-fi, not everything is believable to our current knowledge of technology and world structure. But that only served to add to the story and the plot, and I really enjoyed the artistic vision that the author shares with us. Reading this novel finally got me interested enough in the history of the concept of dystopian worlds. I really feel that the author took it to a whole new level with this series, and not only re-defined it as a genre, but reinforced it as an idea that is starting to become as wildly popular as vampires and werewolves. Every detail is carefully mapped out, and I found no inconsistencies or contingencies in her story. A stellar job in a genre that is next big thing, Williamson wrote a solid middle book to trilogy that I am highly anticipating the conclusion of.